Won seven of their last nine Big Ten matches, including wins over three ranked opponents, to secure the 13th overall seed to the NCAA Tournament, where they advanced to the Regional Semifinal (Sweet 16). 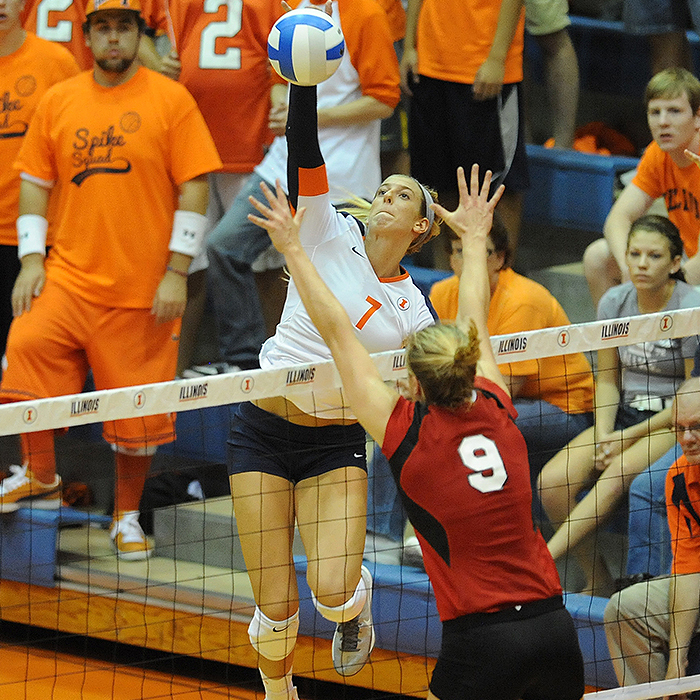 Broke two all-time attendance records (average crowd size & volleyball-only single-match), as the Illini's best-ever fan base helped Illinois tackle the nation's most difficult schedule, which included a school-record 22 matches against ranked opponents, the most any NCAA team has faced in a single season since 1996. Senior libero Jennifer Beltran broke the program record for career digs, finishing second all-time in the Big Ten with 2,220. Additionally, she posted four of the top-seven single-season totals, including the top two spots, and earned an AVCA All-America Honorable Mention. Came back from down 0-2 to defeat No. 17 Michigan in five sets on Nov. 6.